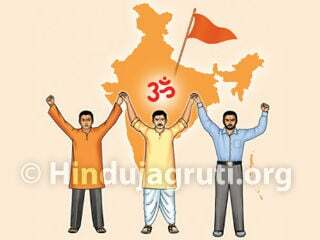 Turmale (Panvel) : Hindus have become minority in 8 States of India. We will see formation of Pakistan in different parts of this country if we don’t fight against terrorism. 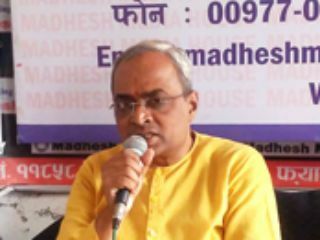 Establishing Hindu Rashtra under Constitution by uniting Hindus for protection of Motherland and for eradicating Islamic terrorism, conversions, love jihad etc, is the need of the hour, stated Dr. Uday Dhuri, spokesperson of Hindu Janajagruti Samiti (HJS) while addressing Hindu Rashtra-jagruti Sabha (sabha) held on 7th March. 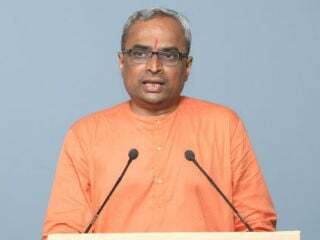 It was attended by 130 devout Hindus. 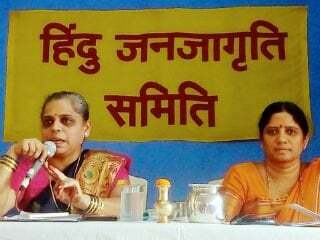 After the ‘sabha’, participating devout Hindus showed interest in attending ‘Dharmashikshan’ classes and self-defence classes conducted by HJS. Local youth and women made special prayer to ‘Gram-daivat’ Shri Maru-aai Mata for successfully holding the ‘sabha’ and performed ‘Oti Bharane’ ritual. They also spontaneously helped in advertising of the ‘sabha’. 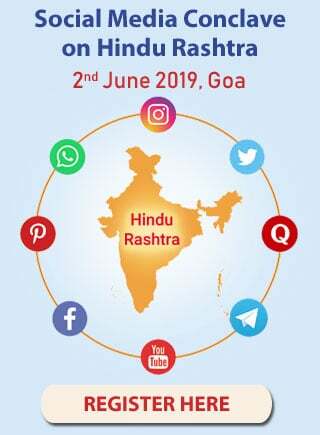 Devout Hindus Shri. Prakash Zirale, Shri. Balaram Patil, Shri. 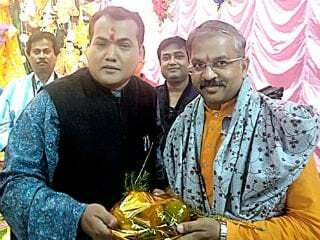 Satish Hatmode, Shri. Vijay Zirale, Shri. Gopinath Mayade, Kum. Bhushan Hatmode, Kum. 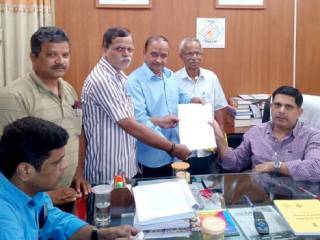 Samir Mhaskar etc extended cooperation for successfully organizing the ‘sabha’. Ritual of offering a sāṛī and/or a blouse piece to a Goddess or to a married lady, a ritual in Maharashtra (Bharat).